This ‘Perspective’ bears on the present state of protein structure determination by NMR in solution. The focus is on a comparison of the infrastructure available for NMR structure determination when compared to protein crystal structure determination by X-ray diffraction. 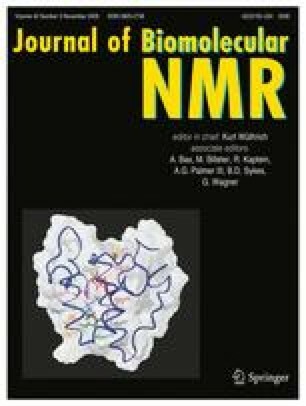 The main conclusion emerges that the unique potential of NMR to generate high resolution data also on dynamics, interactions and conformational equilibria has contributed to a lack of standard procedures for structure determination which would be readily amenable to improved efficiency by automation. To spark renewed discussion on the topic of NMR structure determination of proteins, procedural steps with high potential for improvement are identified. We thank Dr. Ian A. Wilson for a critical reading of the manuscript. M.B. acknowledges support by the EU (LSHG-CT-2005-018988), G.W. by the NIH grant GM 47467, and K.W. by the Joint Center for Structural Genomics in La Jolla, CA, USA (JCSG, NIH #GM074898) and the NCCR Structural Biology (Swiss National Science Foundation and ETH Zürich, Switzerland).